Make the effort to kick the sugar and refined carbs habit. You will find that your body craves it less and less and you may notice a difference in as little as a week. The longer you eat healthy, the better it will make you feel and the less you will crave unhealthy food. Similarly as your body gets used to working out, your muscles will want the exercise. A number of internet sites such as That’s my home, Cooks.com, and Low fat lifestyle are great recommended resources for cooking well and eating healthy. Adding flavors and spices to cooking effectively ups the taste but not the calorie content. 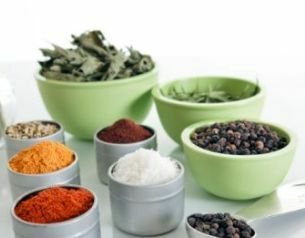 Ingredients like ginger, lime and lemon, curry spices, mustard and soy sauce can help enhance flavors greatly. You can also try variations like adding brown rice to seaweed, adding tofu to steamed vegetables, and adding nuts such as almonds and walnuts to fish, and so on. My uncle just got diagnosed with cancer – our health is so important. Thanks for a such a thought provoking story.